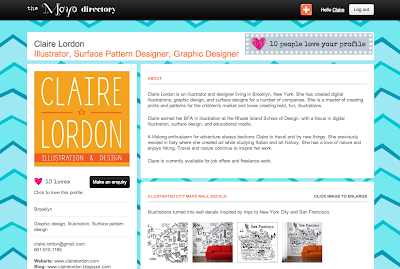 I just made a profile on the Moyo Directory! The Moyo Directory is a directory for surface designers to share their work and projects. It's exciting to be part of this listing and showcase my work to potential clients looking specifically for surface designers. I would appreciate it if you would "love" my profile. The more "loves" I get the better my profile does in search results.